Donc, je vais pouvoir commencer. Le mois prochain, ce sera d’autres tissus “embellishment”. Maintenant, il n’y plus qu’à travailler. Le tout doit durer jusqu’en novembre 2012. 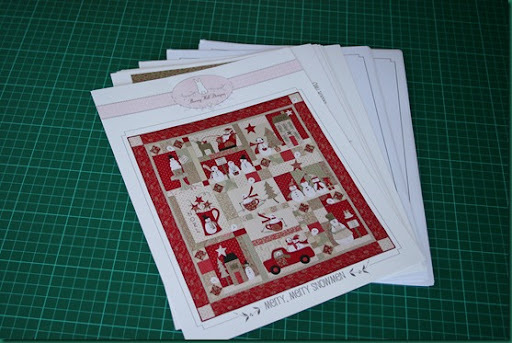 Als ich nach Hause zurückkam, warte ein Paket auf mich und zwar das wunderschöne BOM (block of the month), “Merry, merry Snowmen” von Bunny Hill Designs, direkt aus dem “Fat Quarter Shop” angekommen. Es soll bis November 2012 dauern. 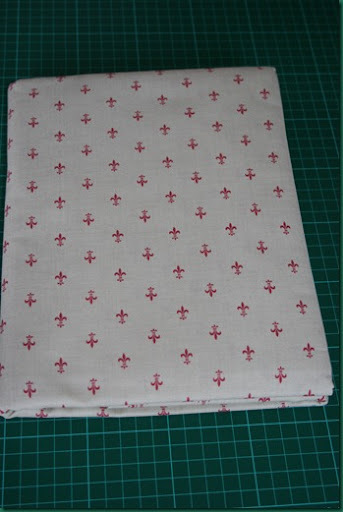 Jetzt habe ich schon die verschiedenen Muster der Blöcke und schon ein Paar Stoffe. Ich habe auch den Stoffen für den Hintergrund gekauft. When I came back home, there was a packet which was waiting for me. It was the gorgeous “Merry, merry Snowmen” by Bunny Hill Designs, a BOM bought at the “Fat Quarter Shop”. 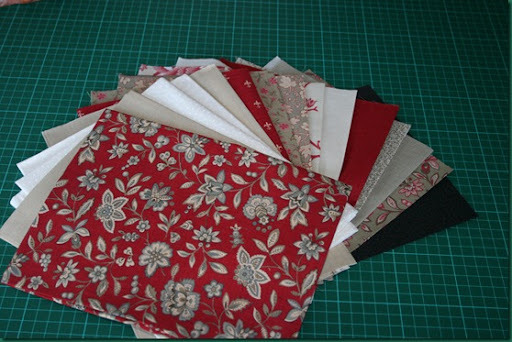 So I received the differents patterns of the blocs, a part of the fabrics and I have also bought the backing set. Now I have to work !!!!! This BOM will continue untill November 2012.
agnes1601 • Cette entrée a été publiée dans Merry, Merry Snowmen. Bookmarquez ce permalien.